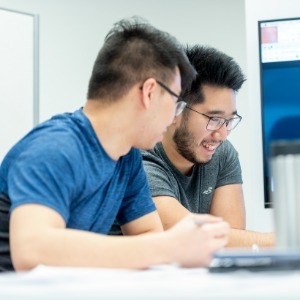 The UBC Okanagan Library is an inclusive place that prioritizes the experiences of students so that their curiosity and initiative can reach its greatest potential. Our services make the world’s knowledge accessible to students. Through learning technologies, we are better positioned to facilitate bold thinking that will help shape a better world. Your donation will help ensure the equipment students need is easy to find, borrow, and use in their everyday lives, enabling them to learn, grow and fulfill their academic goals. If 10 donors give to the UBC Okanagan Library Innovation Fund, Louise Nelson will donate $500 to the fund.